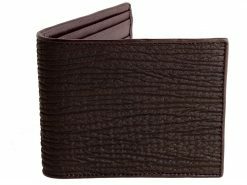 A brown shark skin wallet made from genuine sharkskin leather. 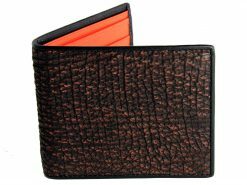 A mens designer wallet made from a textured but smooth shark leather in a rich red brown and black sharkskin interior to finish it off. 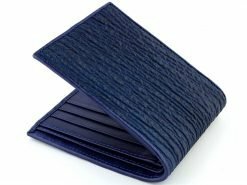 A mens designer wallet with a warm and comforting feel to it. But don’t be mistaken, this is no softy. 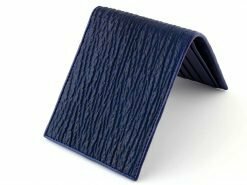 Shark leather products are far more durable than their poor cow skin cousins and a darn sight more attractive too. 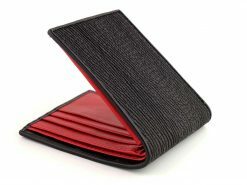 Get one.. these are a tough bi-fold wallet exclusive to RMW, you won’t see another one quite like this anywhere else. One word: WOW! 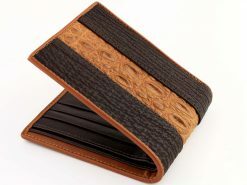 This wallet was stunning with durable texture. 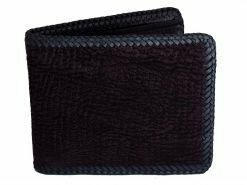 This was my 1st time shopping at Real Mens Wallets, which made me skeptical in the beginning. 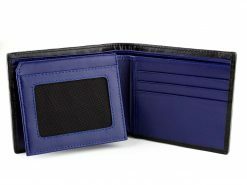 However, after receiving the wallet, I’ll definitely continue being a customer here for any future gifts. I bought this wallet for my boyfriend for our anniversary and he absolutely loved it! Although shipping took a long time, I received the wallet just in time. I emailed the company and they were very quick to help me throughout the process and help me track my order. They responded within the hour, which made this process much easier for me. 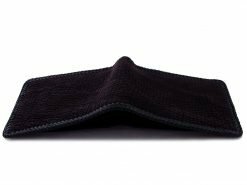 This is a great company with great wallets!! 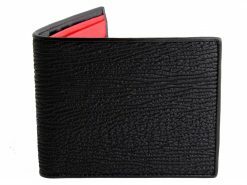 Great wallet @ a great price!